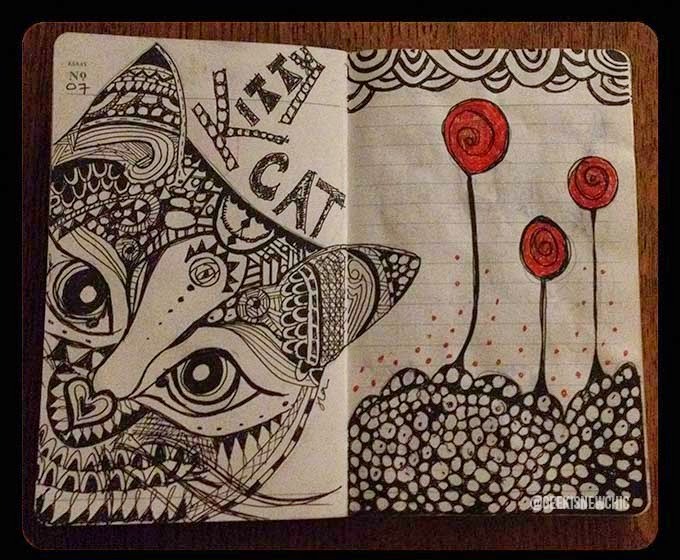 I've been making a real effort to take time offline recently and I've discovered a real love for doodling. I always loved art class when I was at school but I didn't have the patience (or the time) to dedicate to producing even a mediocre piece of artwork, I was too busy dancing. I'm making up for that now. I'm challenging myself and it feels good. When I've completed a pic, I really feel as if I've achieved something.